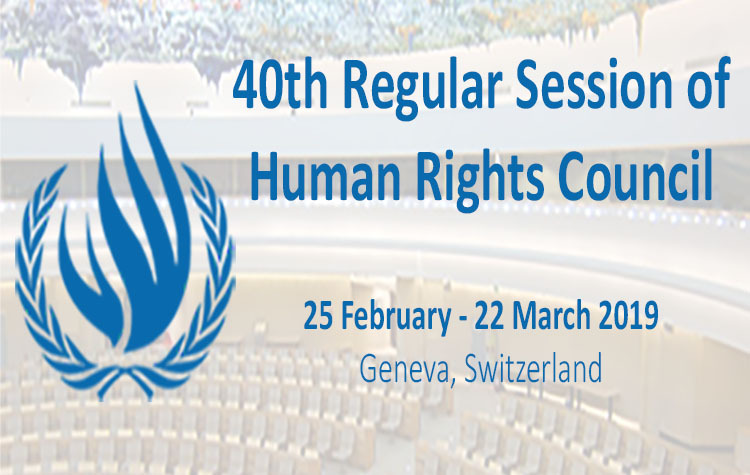 The 38th regular session of the UN Human Rights Council took place from 18 June to 6 July 2018. 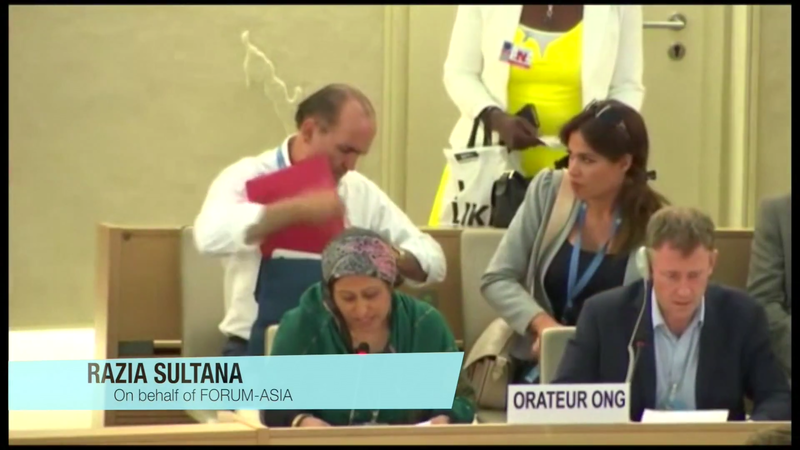 Over the three-week session, FORUM-ASIA delivered or supported fifteen oral statements, and organised six side events. Amongst issues on the Council session agenda, FORUM-ASIA’s advocacy focused on Myanmar, and on the themes of freedom of expression, and freedom of peaceful assembly and of association. On issues not formally covered in the session’s agenda FORUM-ASIA called for increased attention on Bangladesh, Cambodia, the Maldives, and the Philippines. FORUM-ASIA supported a joint statement on the ‘war on drugs’ in Bangladesh during the interactive dialogue with the Special Rapporteur on extrajudicial, summary or arbitrary executions. 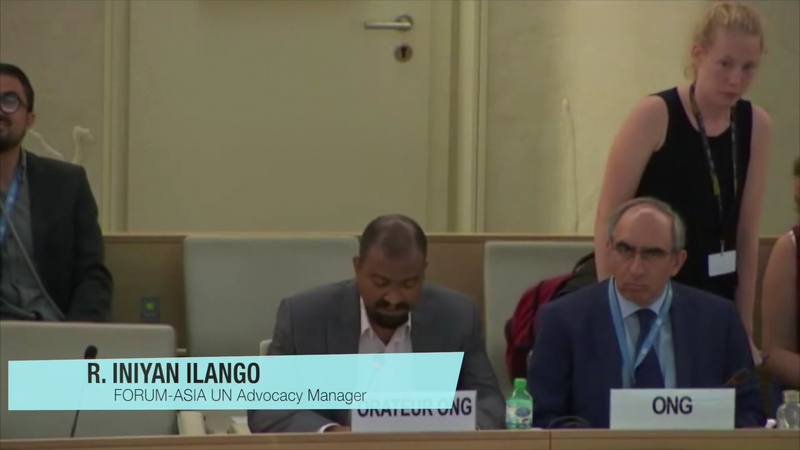 It drew attention to attacks and restrictions on political opponents and civil society ahead of the December 2018 elections during the interactive dialogue with the Special Rapporteur on the rights to freedom of peaceful assembly and of association, and the chilling effect on free speech following increased reports of enforced disappearances and extrajudicial executions during the interactive dialogue with the Special Rapporteur on freedom of opinion and expression. 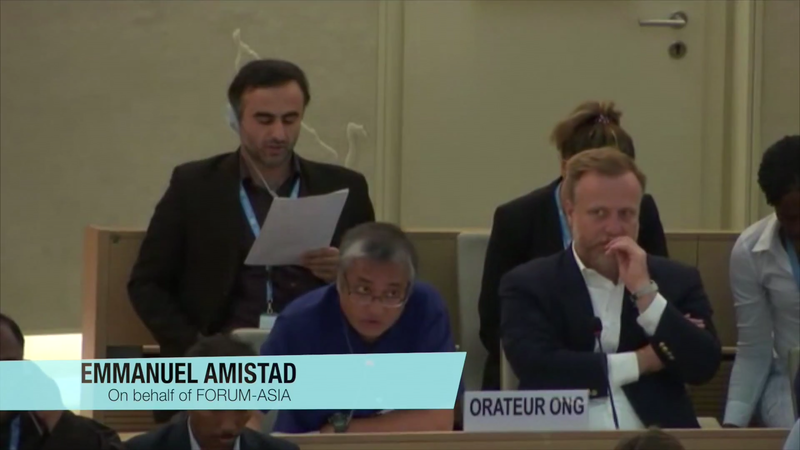 In FORUM-ASIA’s statement during the general debate on situations that require the Council’s attention, and its side event on elections in Asia highlighted serious questions that surround the prospects for free and fair elections in December. FORUM-ASIA also echoed the High Commissioner for Human Rights’ call for Bangladesh to grant meaningful access to his office and called on the government to seriously implement its recommendations from Treaty Bodies. Attention on Bangladesh was reflected in statements by Australia, Switzerland, and the United Kingdom during the session. FORUM-ASIA expressed concern over the erosion of the democratic environment necessary for Cambodia’s July 2018 elections to be free and fair – during the general debate on situations that require the Council’s attention, and at the FORUM-ASIA side event on elections in Asia. Restrictions on freedom of expression in the country were further highlighted during the interactive dialogue with the Special Rapporteur on the promotion and protection of the right to freedom of opinion and expression, while Cambodia’s attempts to prevent criticism of its human rights record at the Human Rights Council were mentioned during the general debate on technical assistance. In a joint statement with NGOs, FORUM-ASIA called on the Council to urgently address the situation in the country. 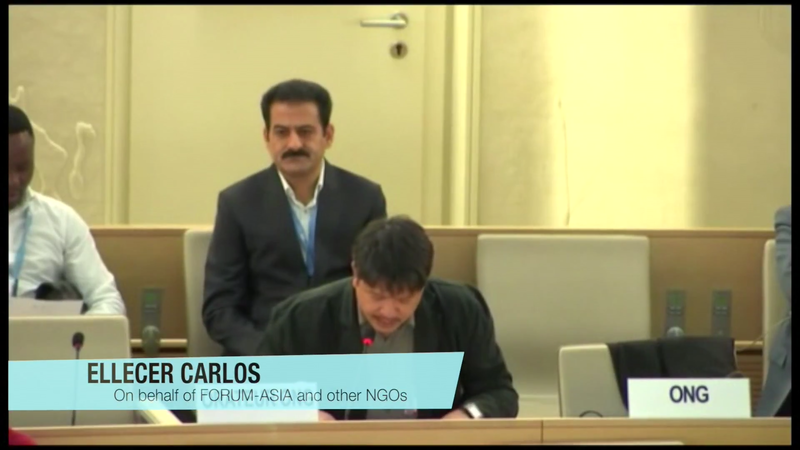 FORUM-ASIA also called on AICHR, as a regional human rights body, to address the curtailment of civic space in Cambodia. States expressed concern on Cambodia in a joint statement by over 38 states delivered by New Zealand, as well as in statements by the European Union, Australia, Belgium, Finland, France, Ireland, Japan, and the United Kingdom. During the general debate on situations that require the Council’s attention, FORUM-ASIA expressed concern over the government’s assault on democracy and democratic institutions, which has severely compromised the possibility of an inclusive or free and fair Presidential election in the Maldives later this year. Similar concerns on restrictions to freedom of peaceful assembly, and freedom of expression ahead of elections were raised in their respective interactive dialogues, and in FORUM-ASIA’s side event on elections. The European Union, Australia, Belgium, United Kingdom, and United States, mentioned the Maldives in their statements. 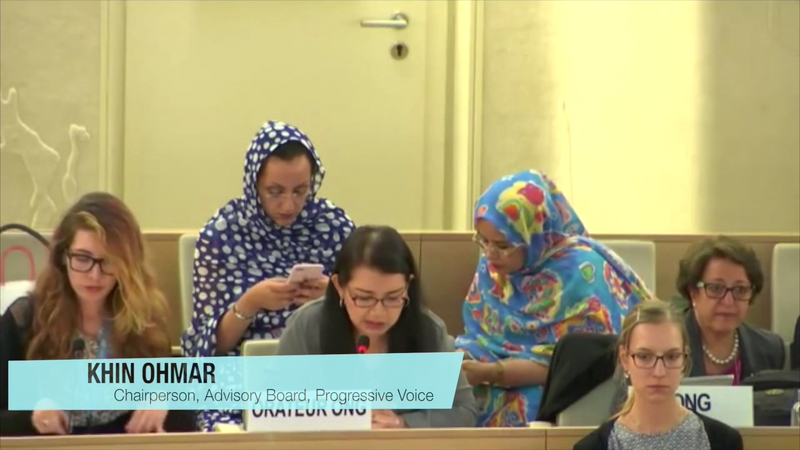 The Special Rapporteur on the situation of human rights in Myanmar presented her update to the Human Rights Council. During the interactive dialogue that followed, FORUM-ASIA welcomed the Rapporteur’s recommendation for an accountability mechanism that investigates, collects and document evidence for criminal prosecution, and provides victim support while also monitoring and reporting. FORUM-ASIA urged the Council to consider this as an urgent first step until a full-fledged international justice and accountability mechanism is set up either through the ICC or the UN General Assembly and its subsidiary organs. FORUM-ASIA reinforced these calls in a joint press release with Myanmar civil society organisations, and organised a side event on the human rights situation in the country. FORUM-ASIA also engaged in the interactive dialogue with the High Commissioner on his oral update on the situation of human rights of Rohingya people, and emphasised that the crisis can only be solved by addressing root causes. Victims and survivors cannot return home without accountability and justice as well as guarantees of security, equal rights, full citizenship and recognition of the Rohingya identity. It is critical that victims are consulted and included in all UN and government efforts that may determine their fates. FORUM-ASIA mentioned Myanmar in the interactive dialogue with the Special Rapporteur on the rights to freedom of peaceful assembly and of association; general debate on the High Commissioner’s update to the Council; and general debate on follow up and implementation of the Vienna Declaration and Programme of Action. FORUM-ASIA delivered a joint statement on the Philippines, calling on the Council to establish an independent international investigation into extrajudicial killings in the government’s ‘war on drugs’ and to mandate the OHCHR to monitor the deterioration in the situation of human rights and attacks on democratic institutions, as well as the Philippine Government’s moves toward authoritarianism. It also mentioned the Philippines in its statements on freedoms of peaceful assembly and of association, freedom of expression, and situations that require the Council’s attention. It called for follow up action from the Council in a civil society statement during the end of the session, and for action from regional mechanisms in another statement. 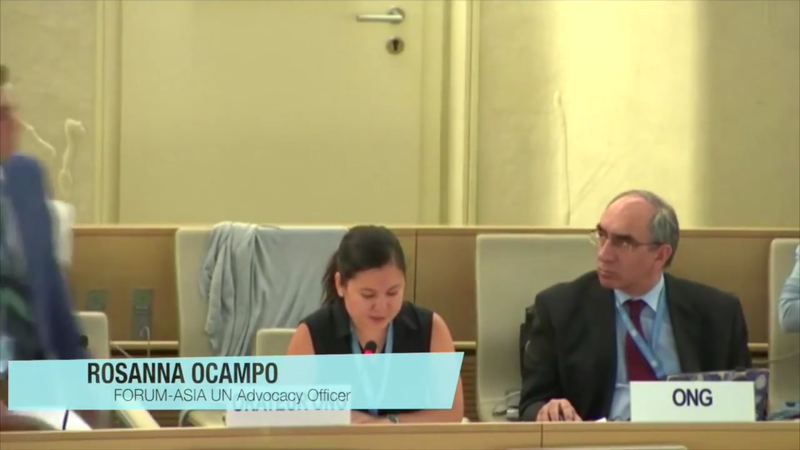 FORUM-ASIA organised a side event on the Philippines with the participation of the Special Rapporteur on extrajudicial, summary or arbitrary executions, as well as discussed the Philippines in a side event on extrajudicial killings of human rights defenders. During the session, Iceland delivered a statement on the Philippines on behalf of 38 states. The European Union, Australia, Belgium, Czech Republic, Finland, France, and the United Kingdom also included the Philippines in their respective statements.